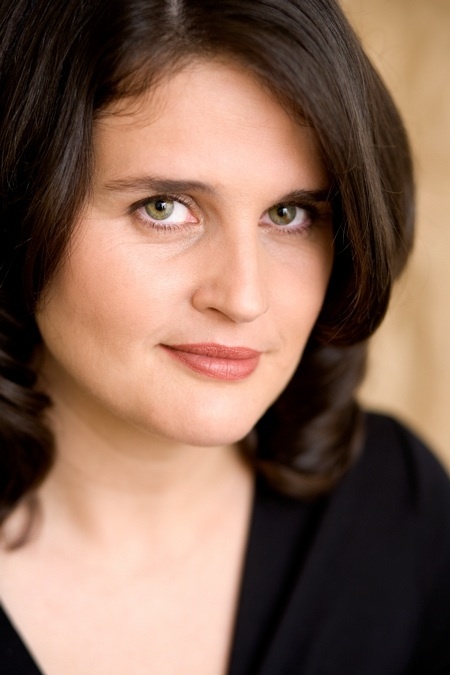 Rebecca Cantrell’s debut novel, A Trace of Smoke, won’t be published until May 2009, but she’s already a very busy woman. 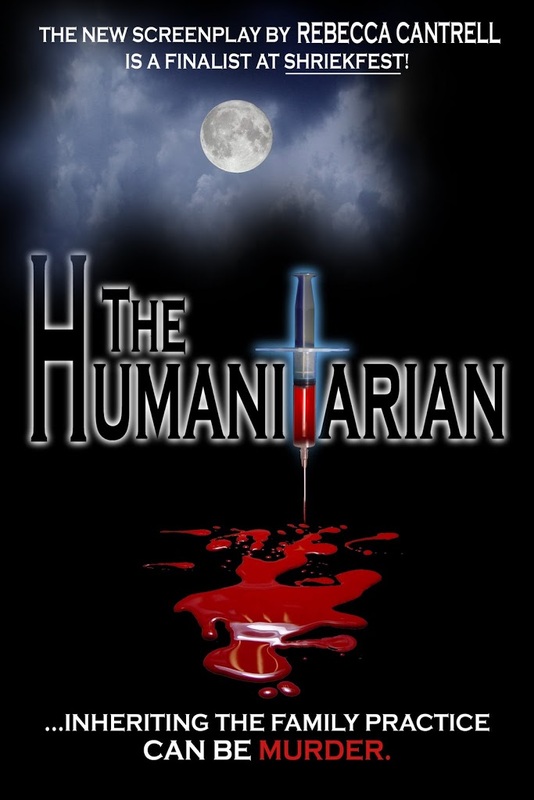 Her screenplay, The Humanitarian, was a finalist at Shriekfest 2008: The Los Angeles Horror/Sci-fi Film Festival , and she’ll have a story in MISSING, an anthology which will be released in February 2009. 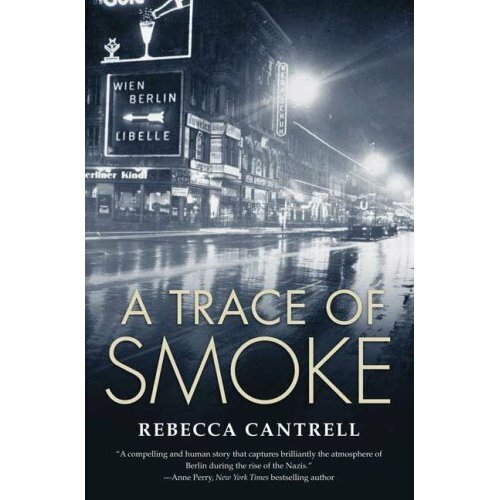 I’m intrigued by the premise of A Trace of Smoke: A young reporter named Hannah Vogel tries to discover who murdered her younger brother Ernst in 1931 Berlin. It’s the first novel in the series. Number two, A Night of Long Knives, is due out in May 2010. But I know you won’t want to wait until 2009 to learn more about Rebecca. She has details about her books as well as excerpts on her website. Thanks, Laura, for a chance to come in and haunt the place! Today I’ll be talking about something that scares me: mindless violence. Life matters. Even fictional life. A few weeks ago, I attended Shriekfest 2008: The Los Angeles Horror/Sci-Fi Film Festival. My vampire screenplay, The Humanitarian, was a finalist there, so I got free passes to all the movies. Days and days of knife-wielding, blood-splashing horror for free! Unfortunately, I cringe at gore and get nightmares from psychological horror. Any horror director would be thrilled to have me in the audience, wincing and closing my eyes. I’m the one who always jumps when that door opens, even though I know better. I even have trouble watching scary previews. But there I was going to Los Angeles to brave it, and all by myself too. I couldn’t bury my face in someone’s chest and let him tell me when it was over. Well, I suppose I could have, but that’s just the way to make all the wrong kinds of friends. My horror screenplay follows that rule too: killing matters. There has to be a point to it. You’d be surprised how controversial that is. My screenplay is about a vegetarian doctor who lives in his domineering father’s shadow. As his body bleeds out its mortal life on his 30th birthday, he discovers the truth: he is a vampire. But he refuses to kill. When I first started working on the script, it amazed me to discover that people didn’t think my vampire doctor faced much of a dilemma. Maybe I hang out with a bunch of psychos, but everyone I talked to thought that his answer should be to just kill bad people. Problem solved. Was I the only one who found it wrong to kill people as a prerequisite for living? I’m all for the argument of self defense or defense of others. But that’s different from making a decision that is going to cost someone’s life, and keep costing lives. Fictionally, heroes killing with impunity is certainly in vogue. Look at Dexter, the lovable serial killer who kills serial killers. People love him (I must at this point confess that I love the show myself). Of all Anne Rice’s vampires, only Louis has qualms about the constant slaughter. Movie heroes kill in vast quantities without even thinking about it. Even David Banner, once a hero wracked with guilt for the deaths he causes, didn’t seem too worried about it in last summer’s Hulk. I personally haven’t seen any link between this casual disregard for fictional human life and the real life murder rate, but it still bothers me. Horror is horror, but people thinking killing people doesn’t matter? That scares me. It causes me to think, on this All Hallow’s Eve Eve: What is the cost of killing, even fictionally? Thanks so much, Rebecca! I’m guilty, guilty, guilty of wanton character murder…You have me thinking now. Tomorrow is the last day of Octoberguest! and I’m sad already. Remember to comment between now and November first to be eligible for the Godiva and Harry and David giftbaskets, as well as many books. Special Halloween guest: El Pollo Diablo, my favorite dead pirate! Oh, great. Without glorious conscience-free killing in our books and films, how do we nurture violence in our culture, and export it to other countries? And how will we support real killing if we are not trained to cheer when the bad guy is slaughtered in our fiction? And worse, if your crazy idea gathers momentum, we might also get saddled with a more peaceful world. While I see mindless violence near every day here in Detroit it is something we have become immune to. We tend to say a quick “Thank God it wasn’t any of my kin” and move on. I wouldn’t lay this attitude on books, or games, or movies, or television but rather on the sheer numbers and length of time it has gone on. I don’t know what the solution is. Violence in some form has always been a part of literature which carried on to all other forms of entertainment. I doubt that anyone wants the spices taken from the works, no one is entertained by bland yet the lines between life and art do seem to be getting ever more blurred. If there is ever going to be a real world decrease in mindless violence then it must be a face world solution. Violence in art. A weighty topic and one we have been pondering for a long time. It has come to the forefront as television has become more and more violent. Many studies have shown there is a direct link between violence in real life and violence in the arts – especially on televison and in video games. The more artists in all media think about the influence their work has the better off we will all be. Isn’t that the reason to create art? To speak to, affect, influence others? It’s a tough topic, to be sure. To the first anonymous: thanks for your witty reply. I certainly don’t want to get rid of all violence in all movies, but I would like to see it have a weight and a value. To the second anonymous: Scary stuff, huh? I agree that as artists we do have a responsibility to at least think about the effect our art has on the larger world. To some extent, we do make our own reality, after all. I found DEXTER too creepy to watch, perhaps because he made his choices so personal. As for the effects of fictional violence . . . there are malformed souls in this world. They’ve been here throughout history. Big Media is a recent invention, so I think it’s hard to argue much for causation. Having said that, a former neighbor was a child actor on ‘Power Rangers.’ Two weeks ago he was convicted of a truly awful double murder. I’ve been wondering ever since his arrest – damaged by nature, or damaged by some notion of personal privilege? My conclusion: it was a combination of the two, along with a monster of a drug habit. That child star thing certainly seems to destroy more people than it helps. I wonder if it’s a sense of entitlement or a skewed sense of reality (or both)? I do watch DEXTER, but some parts creep me out completely. Thanks, everyone, for stopping by and commenting today! In my own work I try to encourage people to connect with one another, to bridge the gap of the great disconnect that allows us to be dismissive to the real life violence that surrounds us in the media and in our communities. As I read your post I wondered, is my own enjoyment of horror in literature and film actually contributing to that disconnect that I speak of? Very thought provoking indeed. Thank you for your post and for starting this conversation. I appreciate Rebecca’s POV on gratuitous violence. I have always been extremely sensitive to horror–especially when it’s horror in the guise of suspense and involves real-life scenarios. I don’t understand the craving to see blood and guts, death and destruction, but I understand that perfectly normal people are not as disturbed by it as I am. I have always believed that art is a more powerful influence on society than many people are willing to admit.